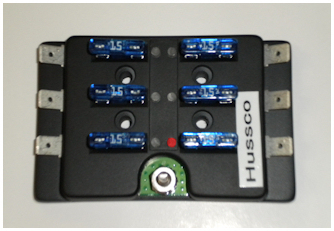 The Fuse Box System allows you to see a series of lighted LEDs. Each circuit in a fuse box will have a led. This sytem is related to the auto industy both on and off road vehicles such as boats, mowers, 4 wheelers, golf carts, trucks, buses and autos. The general fuse box will be up graded with a circuit board that will house LEDs. All LEDs are lighted when in operation or when power is applied. When a fuse or circuit is shorted the LED will be off to signify that this is where the power issue is. The benfits are tremendous. 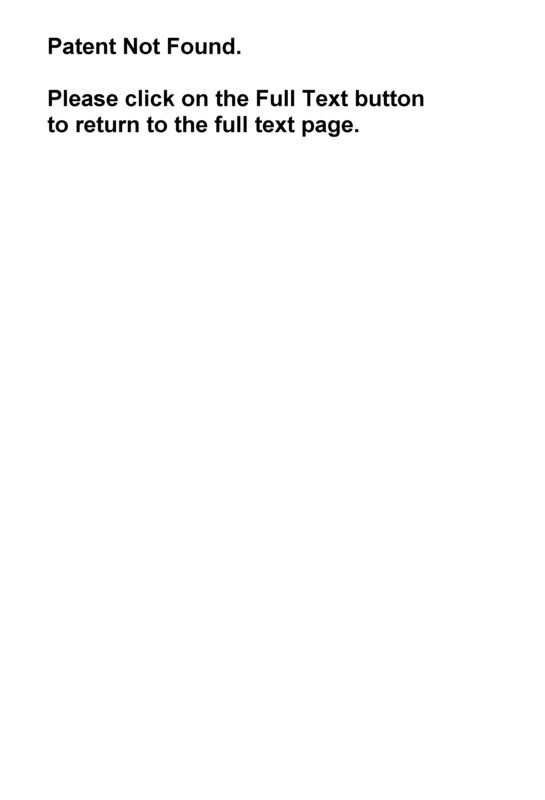 Lost time or revenue to track such an issue is costly. A great benefit for any motor vehicle of any type which has a fuse box. The LED concept will locate immediately the circuit issue and your vehicle drawings will help you trace down the equipment issue. This also is a great benefit for seasonal vehicles. At seasonal start up such as mowers, 4 wheelers, boats, trailers - wiring may be a constant problem with shortages. The LED in your new FUSE BOX SYSTEM will allow you to get back on task quickly. There are 3 patents related to this system, #8,686,596 and #8,395,473 and #7,683,752 and all 3 are for sale for they compliment each other. 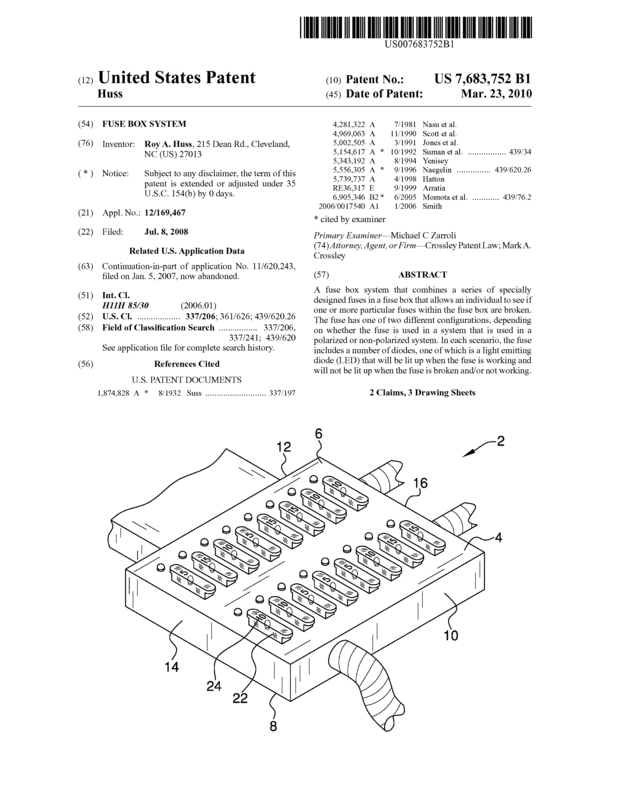 As stated above there are 2 patents related to the Fuse Box System. #8,686,596 and #8,395,473 and # 7,683,752. I want to sell outright the 3 patents. I have prototypes built and a working module. Units have been tested for several years on boats and mowers with no issues. I have been told that the cost to upgrade a simple 6 circuit box to a circuit board is only $1 with todays assembly line. All molds, drawings, sample units and circuit boards will be avaliable. I also have 2 patent pendings for future products related to these patents that are avaliable for review and will be a part of this package. No other condtions, just an outright sale. 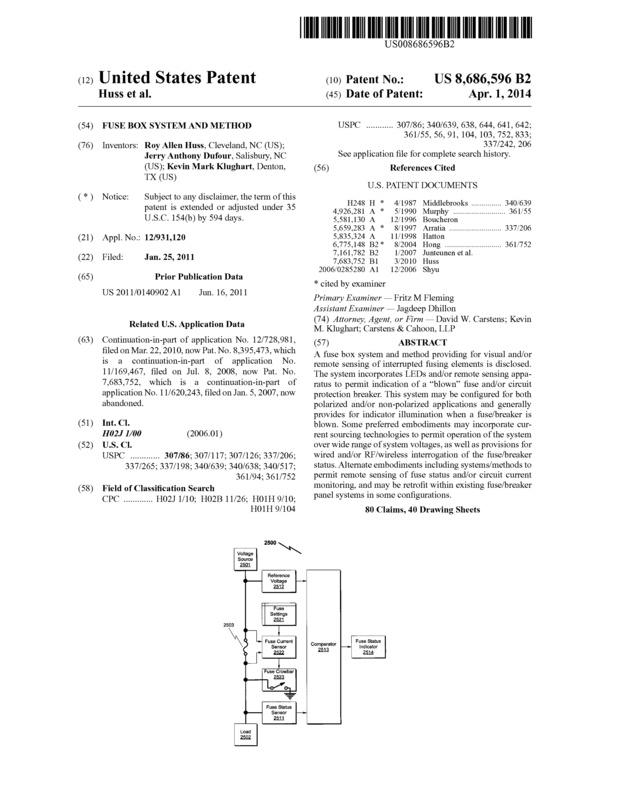 Page created at 2019-04-22 14:29:04, Patent Auction Time.